A still winter sunrise over Loch Fada, The Isle of Skye. 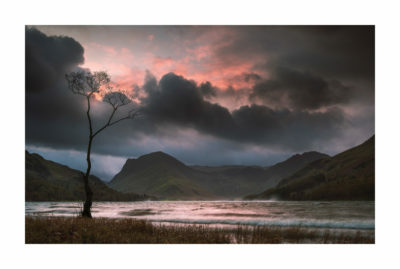 There’s quite a few Loch Fada’s in Scotland, but this is surely the most beautiful. Situated on the East of the Isle of Skye and connected to the larger Loch Leatham to the North; it’s watched over by perhaps Skye’s most famous landmark, The Old Man of Storr. This scene makes up what I like to call Skye’s ‘3 gems in 3 miles’, with this view being the first, followed by Bride Veil Falls, a stunning picturesque waterfall to the North, and finishing up at the trailhead to The Old Man of Storr – All within a 3 mile stretch of road along the A855. Sunrise is the perfect time for this scene, when the wind is at its calmest, making way for crystal reflections on the water’s surface. 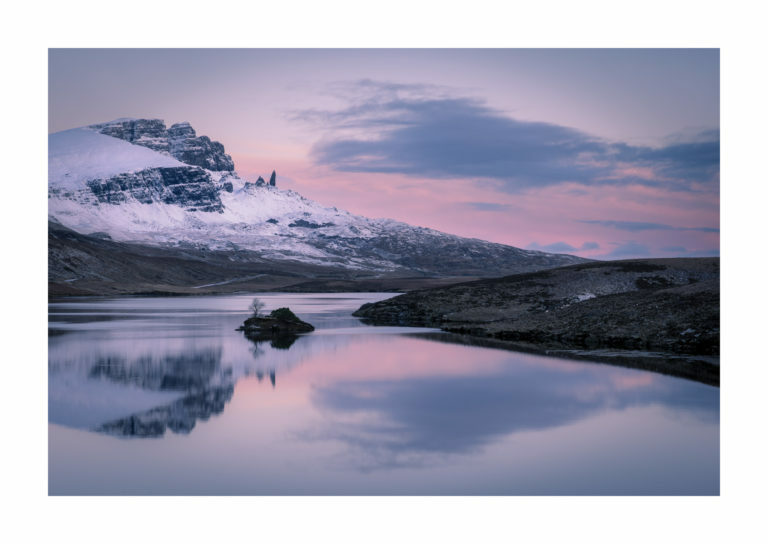 I was particularly lucky on this morning to have a fantastic sky filled with pinks and blues just before sunrise, with a coating of snow on Storr’s hills reflecting the colours.